Whether you love digging in the garden or walking in the woods, two new books have you covered. 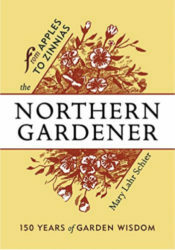 A 26-chapter guide to gardening in The North, the alphabetical format allows author Mary Lahr Schier, editor of Northern Gardener, the Minnesota State Horticultural Society magazine, to cover gardening wisdom from fruit and vegetable growing to annual and perennial gardening to organic and native plants how-tos. It’s also a handy way for gardeners to locate just-in-time specifics. I predict my copy will have muddy fingerprints in no time. A trove of plant lore and information for anyone who wants to find—or simply to find out more about—shooting stars and kitten tails, prairie smoke and Dutchman’s breeches, blazing star and butterfly weed, and more native flowers than most Minnesotans can imagine that bloom nearby. 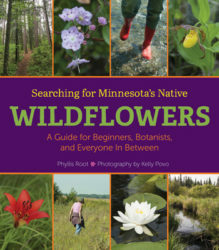 Author Phyllis Root’s notes and photographer Kelly Povo’s pictures from Minnesota’s woods, prairies, hillsides, lakes, and bogs show you where and how to discover the state’s wildflowers.